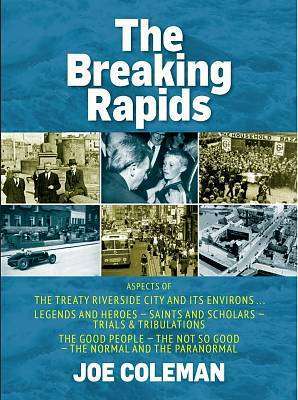 The Breaking Rapids - Aspects of the Treaty Riverside City and it's Environs, heroes and Legends, Saints and Scholars, Trials & Tribulations: the Good People, the Not So Good, the Normal and the Paranormal - is again a 'labour of love' focusing on the people and integrating a number of diverse topics spanning more than a thousand years, including history, sport, folklore and transport. Joe Coleman is the author of the bestselling independently published books House Full (2014) - an affectionate look back at the old cinemas and theatres of Limweick, the people, the stories, the films and the shows and Falling Gradient (2016) - Limerick's Railway Connections, The People & The Times. Joe is a native of Thomondgate having lived in Cashel's Lane, Kileely and Pairc DeValera, before moving to Meelick in 1986, Joe's writing is inspired by passionate subjects, life's experiences and historical events. With a background in public transport, and having spent many years at countinuing professional development, Joe has covered a wide range of principles including different aspects of creative writing.